Ihor Sonevytsky (1926 - 2006), upon the recommendation of renowned Ukrainian composer Vasyl Barvinsky, was accepted into the composition class of Josef Marx at the Vienna Musical Academy at the age of 18. At the end of World War II, however, Vienna was occupied by the Russian Communists, and as a result the Sonevytsky family ended up in a displaced persons camp in Munich. Here, in 1950, Dr. Sonevytsky completed his musical studies with a diploma in composition, conducting and piano performance from the State Musical Academy. Concurrently, he conducted the Ukrainian Opera Ensemble of B. Piurko, and was active as a piano accompanist. 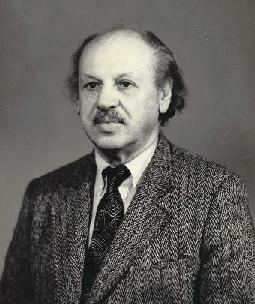 After emigrating to the United States later that same year, Dr. Sonevytsky eventually became one of the organizers of the Ukrainian Music Institute, and served as its director from 1959 to 1961. In the next two decades he conducted five different Ukrainian choirs, organized and directed a Ukrainian string orchestra and opera ensemble, taught private students, wrote over 500 music-related articles for various newspapers and periodicals, wrote several books, edited many others, and accompanied a variety of singers, recording several LPs of vocal music with them. In 1983, he organized and became president of The Music and Art Center of Greene County, where every summer world-class artists perform in an idyllic setting in the Catskills. He has written incidental music to no less than 29 productions of the acclaimed Theatre Studio of Lydia Krushelnytsky, an opera, a ballet, some chamber music, a series of piano works and an impressive catalogue of choral and vocal music. When Ukraine became independent in August of 1991, almost immediately, leading Ukrainian musicians began to seek out and champion Dr. Sonevytsky's works. Several of his compositions received their world premieres at the Grazhda in Hunter, N.Y., performed by world-class artists from Kyiv, Lviv and other Ukrainian cities. Simultaneously, they were performed in Ukraine by leading choirs, instrumental ensembles and soloists to the great acclaim of Ukrainian audiences, the press and critics. With the publication of a collection of his solo songs in 1993 by the Ukrainian State Publishing House Muzychna Ukraina, Dr. Sonevytsky became the first Ukrainian emigré composer to be published in his homeland. Two years later, his one-act opera "The Star" was published by this same firm. 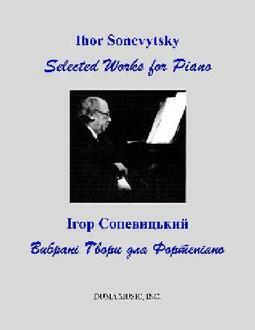 Also in 1995, the Lviv Composers Union published a 100-page monograph on Dr. Sonevytsky's life and works, written by musicologist Stefania Pavlyshyn. Dr. Sonevytsky’s works continue to be championed by world renowned artists such as Oleh Chmyr, Oksana Krovytska, Paul Plishka and Volodymyr Vynnytsky.